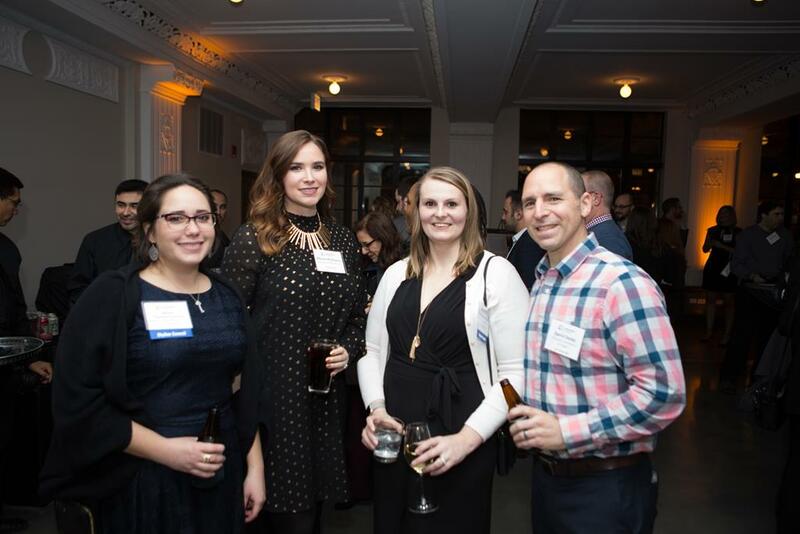 Several K&H team members recently attended the 6th Annual Skyline Socialat the Revel Motor Row building, formally known as the Chicago Defender Building. K&H is a long-term sponsor for Landmarks Illinois and Skyline Council of Landmarks Illinois which is for a very good reason. Landmarks IL is one of our strongholds for the state in preservation and advocacy for our “hidden gems” and do a splendid job teaming up with other organizations to brain-storm alternate ideas for funding, networking, and providing professional assistance to buildings in need. The Skyline Social was a unique opportunity to welcome the National Trust for Historic Preservation to discuss the need to preserve our local and national landmarks. Two of our team members, Lauren Garvey and Chelsea Medek, not only won a scholarship but also attended the National Trust for the PastForward Conference Chicago! K&H would like to thank Landmarks IL and the Skyline Council for hosting a wonderful event and again opening your doors to unique structures around the city. View more pics on our FB Page!